Police in the town of Tergnier — population 13,000 — issued fines of 35 euros ($41) in the wake of the national team’s World Cup victory this month to people who carried on honking horns after some neighbours were ready to call it a night. 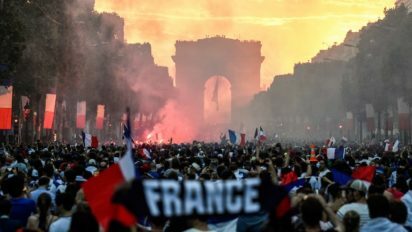 After France secured its second World Cup title on July 15, “for a while there were huge numbers of people out in the streets,” police officer Didier Aubin told AFP on Tuesday, confirming a local press report which revealed the fines. But when calm returned at around 10:00 pm (2000 GMT) some fans still wanted to drive around honking their horns, while motorcyclists repeatedly revved up their engines. As a result, eight people were received tickets for “improper honking” and three for revving their motors, he said.